Middleton Hall’s bespoke wedding service gives you the flexibility to plan the wedding you desire, fitting the budget you have, with the freedom to choose the suppliers you would like, as every wedding is & should be different! 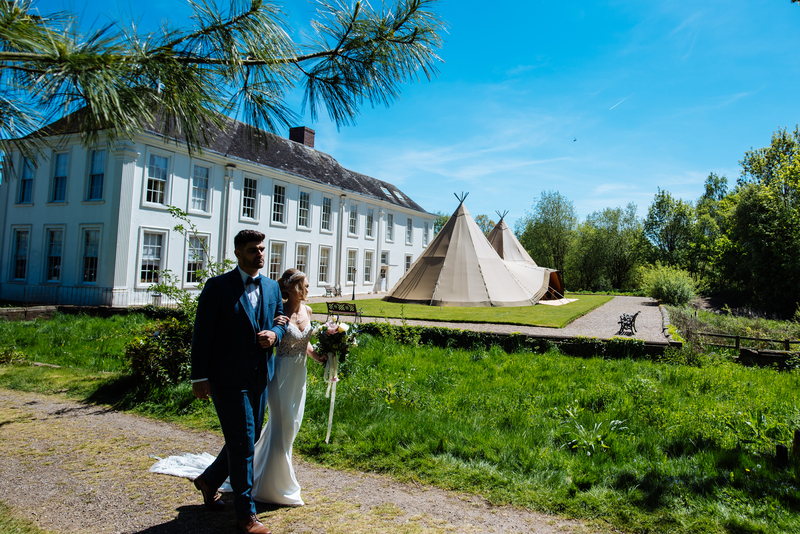 Middleton Hall blends comfortable informality with the grandeur of a historical setting, to enable you to relax & enjoy your perfect day as every wedding is & should be different. Exclusive use from 11am to 11pm of the Georgian Grade II* listed Manor Hall set amidst 42 acres of peaceful grounds, woodland, gardens & lakeside views. Use of the grand Great Hall, the historic South Dining Room & Lily Suite, the beautifully maintained Walled Gardens & the spacious West Lawn, providing the idyllic setting for your drinks reception & wedding photos, should the weather allow. A fully licensed, stocked cash bar exclusively for your guests. Glassware, cake knife, round or trestle tables & chairs. An easel for your table plan display. Full venue setup & clear down by our experienced team. A dedicated Wedding Coordinator to act as your Master of Ceremonies. Use of sound equipment for bridal entrance & background music. Our newly revamped Bridal boudoir. An additional charge of £300 is payable for using Middleton Hall for your Civil Ceremony. For further information please download our 2018 Wedding Brochure here or contact us for a personalised quote & to book an appointment with our Wedding Coordinators who will be able to show you around Middleton Hall & its picturesque gardens & talk you through the options for your wedding.